The Sri Lankan government has recently been criticised by the MFA (Migrant Forum in Asia) for the recent implementation of a law prohibiting some mothers from migrating to find work, according to a report by The Sunday Times in Sri Lanka. According to the MFA, the ban introduced in March stopping women with children under five-years-old from working in other countries, violates the fundamental rights of women to personal development, employment, freedom of choice and freedom of mobility. The regulation also requires women with children over five-years-old to seek permission from the government following the hearing by a committee, with the onus on these women to provide evidence that their children will be cared for appropriately when they migrate. Women migrate, therefore, not purely owing to a desire to live somewhere else, but from a fundamental need to achieve some form of financial security for themselves as their children. 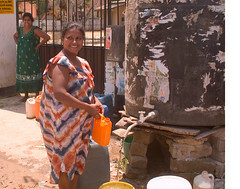 Instead of banning the move, maybe the government should consider introducing social reforms and creating more opportunities for women within the country, although the desperate poverty permeating all facets of the Sri Lankan social spectrum means it’s unlikely the government would be able to invest the capital needed to make such initiatives a success. But instead women will now be forced to leave the country and seek employment through unlawful means, with the possibility of being caught meaning that they will be unable to maintain the care of their children, in addition to the prospect of being fatally injured during their plight for work across the borders. The MFA is strongly urging the Sri Lankan government to reconsider this ban, claiming that the country has an obligation as a member of the United Nations to comply with Article 13 of the Universal Declaration of Human Rights, which states that every person has a freedom to movement within the borders of their country of origin, and also to leave his or her country to take up residence in a different state, and then return to his or her country if they so wish. With this unacceptable attitude towards women having the potential to have such a detrimental influence of quality of life, the MFA is urging the Ministry of Child Development and Women Employment to consult with civil service organisations so to implement new initiatives with regards to child care, and also to implement support networks for the partners and children of female migrant workers, providing emotional and psychological counselling if it is so required. Hopefully with the support of this organisation, plus the wealth of suggested solutions to female migration and childcare, the Sri Lankan government will reconsider this ban and implement more appropriate alternatives.